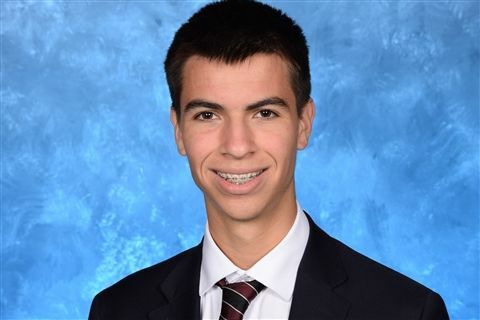 Michael Castellanos '19 was named a National Hispanic Scholar in The College Board’s National Hispanic Recognition Program. Michael scored in the top 2.5% of Hispanic and Latino PSAT test takers in our region, and completed an application process that included submitting a transcript and other school information. Founded in 1900, the College Board was created to expand access to higher education. Its purpose is to help students prepare for a successful transition to college through programs and services in college readiness and college success — including the SAT and the Advanced Placement Program.